Anyone who has traveled with kids knows the problem: attractions that draw the grown-ups tend to bore the younger generation—and vice versa. 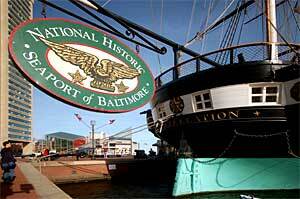 Knowing this first hand, I was double impressed with Baltimore. This city on Chesapeake Bay has fun for everyone on land and sea and a quirky side that appeals to all ages. Here are a dozen good reasons why families love Baltimore plus an added bonus for the budget: The Charm City Circulator offers frequent service covering almost all of Baltimore’s main sights—and the buses are absolutely free! Learn how and why the national anthem was written at Ft. McHenry when the outmanned fort miraculously defeated the mighty British fleet. Special observances from mock bombardments to War of 1812 encampments will lead up to a giant celebration on the big battle anniversary, September 14, 2014. 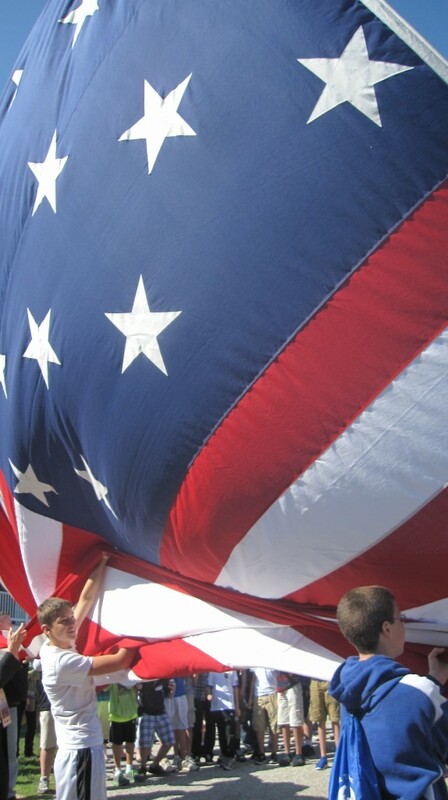 When the flag is changed every day at 9:30 a.m. or 4:20 p.m, everyone is invited to help unfurl and hoist the new flag, a replica of the giant 15 stars and stripes banner of 1812. Remember pinball? This exhibit at the National Pinball Museum shows off one man’s great collection of pinball machines, taking visitors on a 140-year journey from Bagatelle (the 18th Century precursor to pinball) to modern day versions. Then you get to actually play in the upstairs Pinhead Gallery. It’s a nostalgia trip for adults, a fun challenge for those raised on computer games. The American Visionary Art Museum showcasing art by unschooled artists or “outsiders” is a world of whimsy and color everyone can appreciate. Who can resist the Cabaret Mechanical Theater, with dozens of wooden creations that move with the touch of a button, or exhibits such as a giant sailing ship built of thousands of toothpicks? 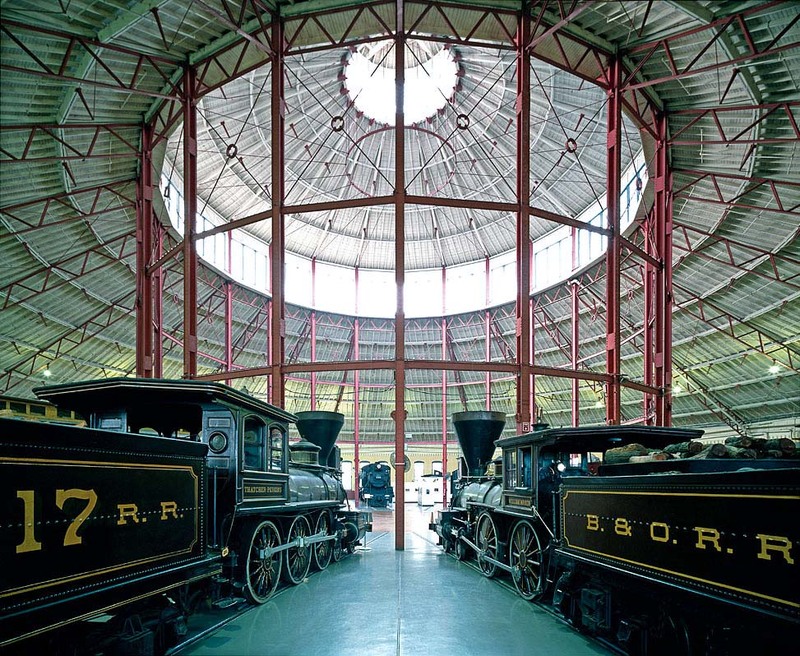 The Baltimore & Ohio Railroad Museum celebrates the nation’s first railroad with displays of historic engines and rail cars and steam locomotives. Even better, you can actually take a ride aboard a historic train. Littlest visitors can also board Choo Choo Blueville, a three-minute kiddie train ride around a landscaped mini-town. Talk about quirky, the National Museum of Dentistry may not sound like fun, but this unusual museum is actually entertaining, with a gallery devoted to George Washington’s false teeth, a five-foot whale tusk, the chance to sing-along with classic toothpaste commercials, see what people have done to enhance their smiles through the ages, and preview the advances we can expect in dentistry in the future (painless, we hope). Search for treasure, blast enemies with water cannons and all the while get a tour of the scenic harbor sailing on Baltimore’s own pirate ship, Fearless. If pirates aren’t your thing, get everyone into the act with a paddle boat ride around the Inner Harbor in a family-size “Nessie” dragon boat. You can also get around the city by boat aboard the Water Taxi, a fun way to travel to most of the major sights, including Ft. McHenry. Aquariums are always family favorites and the National Aquarium at Baltimore is an especially good one, with some 16,000 species of fish and mammals in exhibits from an Atlantic Coral Reef to the Pacific and the Amazon. Along the way, visitors are eye to eye with fascinating creatures from playful puffins and dolphins to fearsome sharks to creepy jellyfish, funny clownfish and starfish in brilliant rainbow hues. Other cities have children’s museums, sure, but the usual interactive exhibits in the Port Discovery Children’s Museum surround a giant jungle gym called KidsWorks, a three-story urban tree house where happy youngsters have a ball crawling, jumping, and sliding around. Little ones love it! Museum visits don’t always delight kids but that may change at the Baltimore Museum of Art, famed for its Cone Collection, the largest collection of works by Matisse in the world. To help little ones can enjoy the museum experience, a free Artful Storiesaudio tour is led by Matisse’s dog Raoudi (pronounced “rowdy”), whom kids can see on the painting Interior with Dog. Museum admission is always free and special hands-on art workshops for families take place most Sundays at 2 p.m.
At the Maryland Science Center visitors learn about everything from earth to outer space to dinosaurs and youngest visitors have a special Kids Room where they can send boats down a river channel in water play, operate the fish cam in a submarine, or dress-up like a turtle. 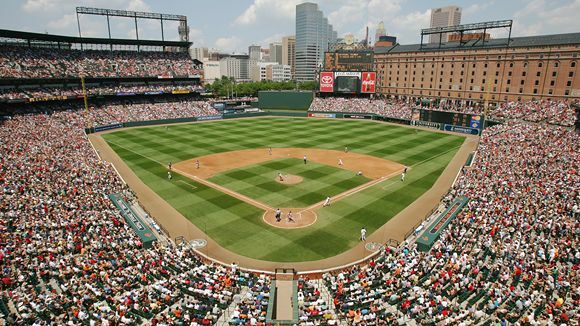 Baltimore’s Camden Yards, the retro-style home of the Baltimore Orioles baseball team, is an iconic stop for fans. Off season the adjacent Sports Legends Museum and the nearby home of Babe Ruth beckon and the Baltimore Ravens pro football team plays at M&T Bank Stadium, a short stroll away. Sorry to hear it. Thanks for the update.